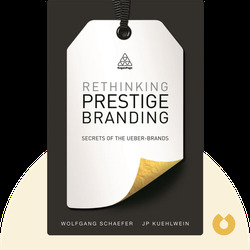 Rethinking Prestige Branding by Wolfgang Schaefer and J.P. 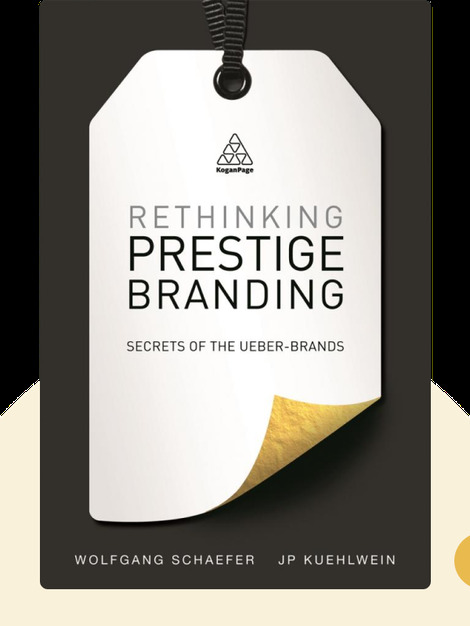 Rethinking Prestige Branding (2015) is your guide to the radically transformed world of prestige brands. These blinks explain how the practice of building a prestige brand has changed, what customers want today and what you need to do to make your brand a coveted object. Wolfgang Schaefer is chief strategy officer for advertising agency SelectNY. He has years of experience in developing global brand strategies for European, American and Asian markets. He is also the cofounder of Ueber-Brands Consulting. JP Kuehlwein is brand director for Procter & Gamble and a lauded business leader, strategy expert and brand builder. He is a cofounder of Ueber-Brands Consulting.